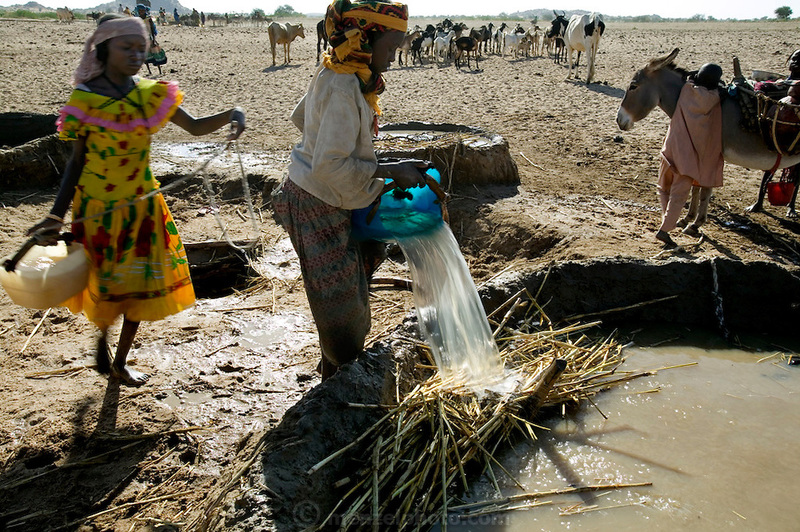 To water their animals, Amna Mustapha (left) and a cousin must first dip plastic containers into a six-foot well. They then pour the water into a low earthen-walled pool from which the animals drink (the millet stalks at the edge of the trough keep the cascading water from breaking down the wall). Families take turns using the pools, which must be rebuilt often and will ultimately wash away during the rainy season. Hungry Planet: What the World Eats (p. 70).